Writing a book involves a lot of deleting, shifting, and rewriting. The recent IT problems at Argenta bank reminded me of the original introduction of Bankers are people, too. The introduction in the published version of my book is based on the old intro, plus pieces that were originally at the end of Part III. The editor convinced me to integrate them into the beginning. Money occupies a central place in our lives. It feels so natural that we usually take the financial system for granted. Just like we take it for granted that water, electricity and the internet are always available. It is only when something goes wrong that we are confronted with the limitations of the systems that provide these goods. On a small scale, the unavailability of a payment terminal is a nuisance. But that is nothing compared to the failure of entire banks. Ever since the fall of Lehman Brothers in 2008, Western economies have been plagued by slow growth. Almost a decade after the crisis began, economies like Italy and Greece still have not recovered their levels of 2007. The world has learned the hard way that disruptions at banks have long-lasting consequences. Banks became the center of attention during the financial crisis. 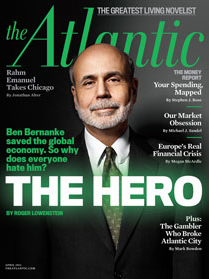 The Atlantic put the chairman of the Federal Reserve on its cover and labeled him a hero. Regulators and bankers wrote about their experiences. New legislation was passed to make banking safer. The crisis has spawned a large literature on banking. Yet it is a literature obsessed with exceptional circumstances. By and large, the financial sector is still misunderstood. Many people have the feeling that greedy bankers are doing very complicated things. Others are convinced that banking is a useless activity. What is missing is an explanation of the services bankers provide to their clients every day. How do banks make money? Why are there central banks? What is the role of politics in finance? What is the difference between stocks and bonds? What do investment bankers do? How does banking differ from insurance? What is GDP? Can saving and paying off debt be bad for the economy? And what is all this crazy talk about helicopter money? Working as a banker, I found it amazing how finance was sometimes represented in the media. Statements on monetary topics by renowned economists were frequently incorrect. If economists didn’t get it, what hope was there for the general public? So I decided to write the missing introduction to banking and finance myself. This book answers the questions listed above, and many more. It is aimed at anyone interested in finance. News about offshore havens, shadow banks, monetary policy, leverage or derivatives will no longer be Greek to the reader. A recurring theme throughout the book is the human element in finance. The financial world is presented as it is, inhabited by real people. Some are fraudsters, most are just doing their jobs as best as they can. Borrowers, savers, investors, economists, regulators and politicians are all imperfect human beings. Bankers are people like you and me. Like any discipline, economics has a specific language to describe things. Advanced mathematics makes academic papers inscrutable for outsiders. On the other hand, financial expositions are often very verbose. Economists and journalists writing for a lay audience tend to rely on metaphors to get their message across. For example: ‘cheap credit is like heroin. It’s addictive, and the economy can overdose from it’. This may sound nice, but what do such descriptions even mean? I have tried to find a balance in this book. My goal was to keep the text accessible to the novice, without sacrificing clarity and correctness. Concepts are explained from zero, using a minimum of terminology. Fundamental ideas are illustrated with simple numerical examples and schematic drawings. Anyone with knowledge of elementary school math should be able to understand them. Finance is not rocket science. Anecdotes and financial figures enrich the text. Banking has a long history and an abundance of data to source from. Nonetheless, this book focusses on timeless principles that are valid irrespective of their concrete implementation. Furthermore, a number of common misconceptions – which are sometimes even held by economists – are debunked. The result is a concise book that covers a lot of ground. This book consists of short chapters, grouped into seven overarching themes. The first part uncovers how banks accept deposits, facilitate payments and make loans. Understanding these basic functions leads us to think deeply about the nature of money. In contrast to what some people think, banks cannot create money out of thin air. Banking operations are constrained by the creditworthiness of clients and by regulations. Politics complicates the naïve textbook picture of profit maximizing entities living in a societal vacuum. Not all banks provide loans to retail clients, as illustrated by the existence of central banks and shadow banks. The first part ends with the financial mayhem that ensues when banks and states go bankrupt. Wealth is more than numbers in a bank account. The second part explores the universe of financial assets. Among other things, we learn about foreign currency, bonds, stocks and funds. The advisers earning a living from other people’s money also make an appearance. Part three groups a number of disparate financial activities. Insurance protects customers from an uncertain future. However, insurers can take on too many risks themselves. We see how investment bankers work for corporate clients. Private bankers help their wealthy clients to avoid taxes. The evolution of financial technology is demonstrated with historical examples. Part three closes with the contentious question of whether bankers are financial parasites or not. Part four brings a change in perspective. We zoom out from individual banks to the economy as a whole. By keeping track of money flows, we gains some insights on monetary imbalances between countries. Macroeconomic concepts as gross domestic product and inflation are introduced. The collective behavior of consumers, bankers and businesses can lead to counterintuitive problems. Sometimes saving money and paying off debt makes the economy worse off. Part five shows how overall spending can become lower than desirable. Deficit spending, quantitative easing and helicopter money are some of the tools that authorities can use to stimulate the economy. The crucial role of politics and economic thought in macroeconomic management is stressed in part six. In the final part of the book, we think about the future. Technology, regulation and market forces have shaped money, banking and the economy for a long time, and they will continue to do so in the coming decades. What will money look like? Is banking a dying sector? Can policy makers regulate the world of finance into permanent stability? Or will the lessons of the past be forgotten again, setting the stage for a new crisis?